WORLD CHAIRMAN – GIANTS INTERNATIONAL. Mr. Chudasama was the pioneer of the only India based social service organization Giants International which now has over 600 groups existing as on December 2013 including 7 groups abroad say Nairobi,Nairobi Twiga,London,Maurities,USA,UAE,Auckland (New Zealand). This organization was solely started by him with service to humanity as its main objective. Besides projects done in various fields such as Family welfare, Disaster Management programmes during earthquakes, floods, and other National calamities, Environmental projects , Support to the differently abled, Medical, Educational and Water Harvesting Projects , he has motivated all the Giants members to take up Family Planning programmes in their areas. In fact he has introduced Family Planning as top priority project for Giants and has instituted a number of Awards for Groups achieving the target operations to be carried out in their area. For the last couple of years he has initiated 38,000 family planning operation which are certified. He has also initiated numerous awareness and educational camps in slum areas for Family Planning. In the coming year he has a target of completing 50,000 operations. Padmashree Nana Chudasama has over the years fashioned a philosophy which offers hope to less fortunate people of the Country. 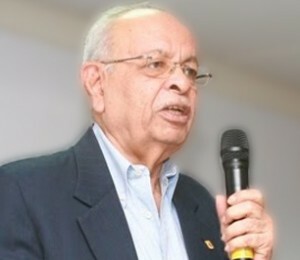 He pioneered an India based service organisation Giants International started in 1972. Under his dynamic leadership as World Chairman serving the mankind by way of executing projects & programs in the field of Family Planning, AIDs & Drug Awareness, Water conservation project, Consumerism & Environment, help to differently able and many other public spirited activities in India & abroad. Through giants a helping hand is extended to the immediate relief and rehabilitation in times of calamities, may it be earthquake in Latur & Gujarat, flood in Mumbai, Cyclone in Orissa & Tsunami in South. He was Sherief of Mumbai for 2 years continuously. Government of India recognised his Social work & Honoured him with the prestigious Award “PADMASHRI” on the eve of the Republic Day 2005. Clean Mumbai, Green Mumbai, has been the slogan coined by Nana , when he started “ I Love Mumbai’during his term as Sheriff of Mumbai in the year 1989. Since then ‘I Love Mumbai’ has been distributing 50,000 free saplings annually, to make Mumbai green and reduce the pollution in the atmosphere. He has taken up a number of projects towards the beautification and cleanliness of the city, the major one being the protection, upkeep and illumination of heritage buildings such as Rajabai Tower, Asiatic Library, Wilson College and Police Head quarters. Other projects of ‘I Love Mumbai’ include annual white washing of Marine Drive promenade and compound walls, Sponsoring Swachalayas, Indoor Plants Exhibitions held twice a year etc. In recognition of his achievements in his term as Sheriff, he created history by being the only Sheriff to continue in the office for the second consecutive year 1990. During his term as Sheriff he also started the Forum Against Drugs and Aids and is the President of this center for prevention of Drug Abuse and Aids. He was the pioneer in organizing Drugs Abuse Awareness, through public support and medical assistance as well as providing cure through rehabilitation programme . A Hospital for the purpose was founded called The Bhardawadi Hospital for the cure of Drug addicts. He is also the Chairman of the National Kidney Foundation where he organizes constant awareness of Kidney disorders & also is involved in Government Cadaver Transplant Programme. He is the Founder president of Common Man’s Forum, an organization which has the primary concern of safe guarding the interest of the common man, leading him to be actively involved in consumerism, and is on the Advisory board of COUNCIL FOR FAIR BUSINESS PRACTICES. CONVENOR – RELIEF & REHABILITATION COMMITTEE- GOVT. OF MAHARASHTRA. A committee of prominent citizens was appointed by the Government of Maharashtra to assist the victims of the bomb blast that occurred on the 25th of August 2003 at Zaveri Bazaar and Gate way of India. Mr. Nana Chudasama was appointed as Convenor of this committee which had top Industrialist such as Mr. Rahul Bajaj as chairman and Mr. Anand Mahindra, Mr. Mukesh Ambani, Mr. Adi Godrej, Mr. Deepak Parekh and Mr. V.N. Dhoot as members. The committee mobilized and distributed Rs 42 lakhs to the victims of the bomb blast. Recommendation based on the experience of the committee on policy required to be taken by the Government in rehabilitating victims were forwarded by the chairman and convener of the committee and these suggestions are now made as a policy by the Government of Maharashtra. 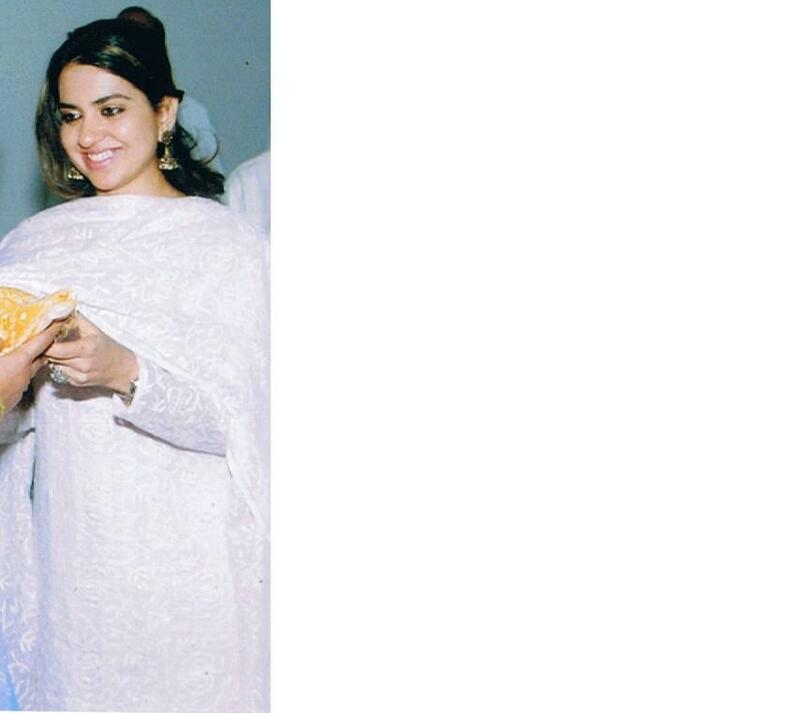 Nana was instrumental in bringing the Jaycees to Bombay which is a leadership oriented organization and spread the movement throughout the country. He was awarded the most outstanding Young Man of India Award of the Indian Jaycees in 1963 and became the National President in 1966. He was actively connected with the INDO AMERICAN SOCIETY and was elected President twice. He was the President of W.I.A.A. the Western India Automobile Association the largest automobile association of its kind. The main interest of this organization is the welfare of motorist. He is nominated as a Member of the Task Force set up by the Government of Maharashta in July 2004 comprising of eminent citizens to prepare an action plan for transforming Mumbai into a world class city. This multi faceted personality is also Advisor and Trustee of many organization like the UDRI- Urban Design & Research Institute, Population First, Bombay First, etc. and Patron ofPrashanti Cancer Care Mission, The Estate Agents association of India and Milan International. He the Head of the Jury for theMarshalls Comedy Awards. There has been no aspect of social work which does not bear his imprint. 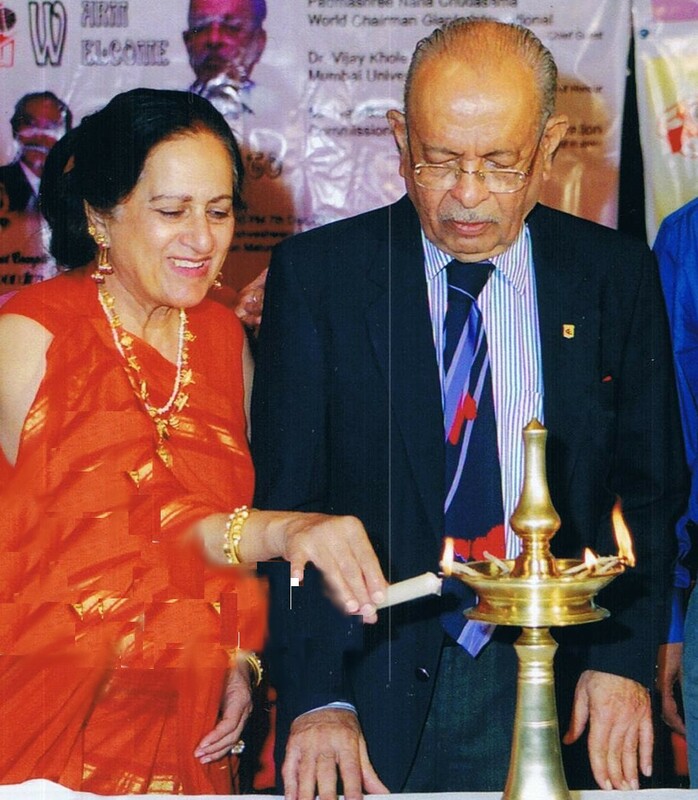 Shri Nana Chudasama, was conferred with the title of Padma Shree by the President of India on March 26th,2005 in a glittering investiture ceremony in Rashtrapati Bhavan, New Delhi for contribution towards the welfare of the society as a committed social worker. Constantly in the lime light he is the author of the catchy, popular and thought stimulating banners which appear regularly at Marine Drive which he has now been writing for a record breaking 30 years, a feat which deserves a entry in the Guinness Book of World Record. To conclude, without exaggeration it can be said that in the field of social service Shri Nana Chudasama ranks as one of the best in Mumbai and Maharashtra.